It’s my favorite day of the week again! I’m sorry, I know the cliche is to hate Mondays, and I’m not being too sympathetic with all those who dread the beginning of the work week… but how could I not like #MeatlessMondays? I’ve been a vegetarian for most of my life, starting from the age of 4 or 5, when my mom put a Christmas turkey on the table. Having a dead animal on our dinner table, and celebrating around it, just didn’t feel right to me, and it still doesn’t. And even though I’m not trying to change minds here, or hint at anything that may go against anyone’s beliefs, I do have to admit that the #MeatlessMondays trend happening on the internet makes my heart do a happy dance on this day. Don’t forget to serve it with rice and French fries (I usually use brown rice, but made white rice today for authenticity’s sake). This may all seem too much, but when the rice and French Fries get mixed together with the stir-fry, and soak up all those juices, you will understand why we eat it this way. 1 package Portobello mushrooms (2-4 large mushrooms), sliced. *Put a wok or a pan over very high heat. Add the oil and saute the portobellos, garlic, onion, tomato, chili pepper, and stir for a couple of minutes. Add the soy sauce and vinegar, and mix everything. Season with more salt and pepper. *Take off the heat, add chopped cilantro and serve at once with French fries and white rice, and the juice from the stir-fry. To make the French fries, cut the the potatoes in thick slices. Heat a lot of oil in a pan, at high heat (enough to submerge the potatoes completely). 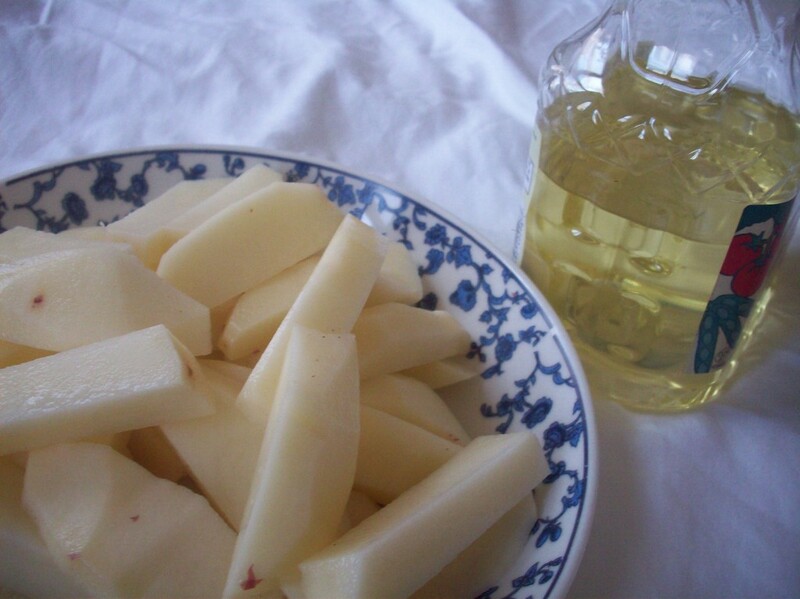 When the oil is bubbling, put some potato slices in a metal scoop colander or strainer, and insert in the pan, holding it from the top or handle. The potatoes should be submerged in the oil. When golden, put over a dish covered in paper towel, and season wit salt. Repeat until all the French fried are ready. Mushrooms are the hubs favorite next to onion of course I will be sure to share this with him it looks yummy! I am not a vegan but with my new found allergies to some foods, I can actually eat this dish. I am going to have to try it out. 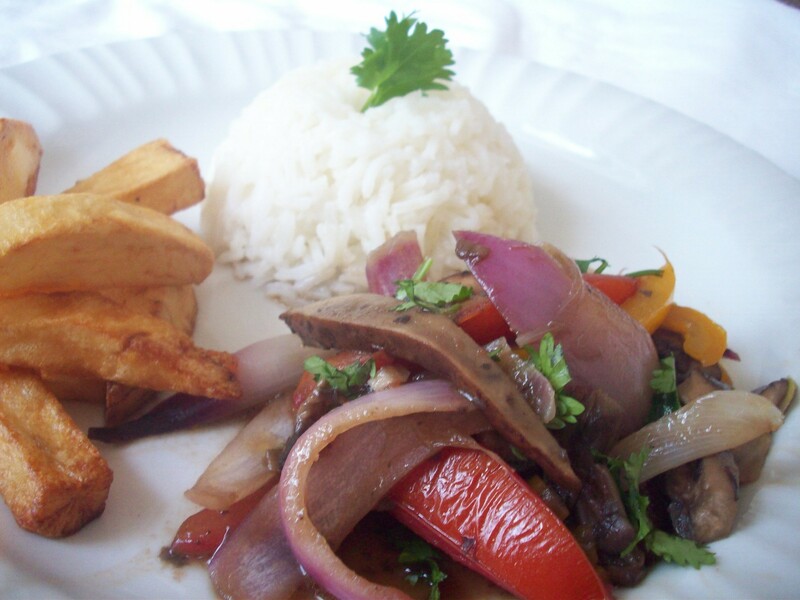 I love lomo saltado and I love mushrooms (my favorite vegetable). It looks like I will have to make this pretty soon. Brilliant! What a great idea. I was vegetarian for 3 years and mushrooms have always been a favorite. I eat meat now, but I still love mushrooms and don’t feel that I have to have meat with every meal. ooh, he hecho también y que rico es. tan saludable! Lucky for me its almost dinner time. This looks so delicious. What a fresh and comforting recipe. This meatless dish brings a delicious variety of veggies and the frenchfrieS we all love. I just made this for dinner and I cant believe how similar this tasted to the way my mother makes Lomo Saltado….Lomo Saltado was one of my absolute favorite peruvian dishes and I truly missed it when I became a vegetarian (amongst many other peruvian dishes). 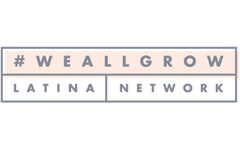 Im so glad I found your website and am so glad you have this recipe….its unbelievably delish…and so so easy to make. 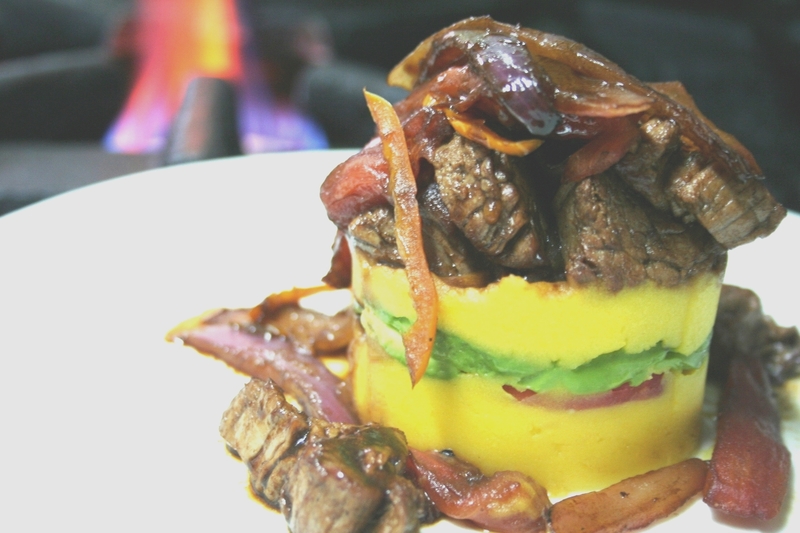 My Irish husband who luvs peruvian food…loves this recipe!!! 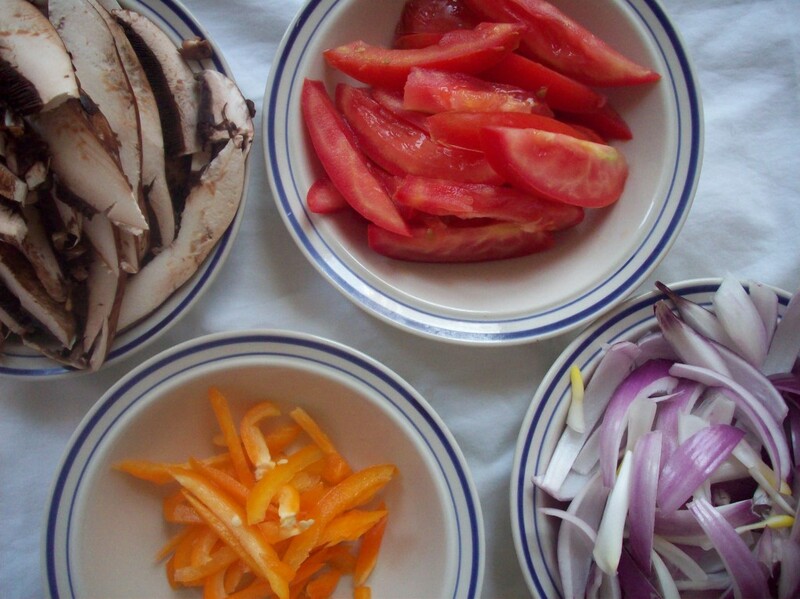 All the fresh ingredients are making my mouth water. A must-try recipe! I can’t wait to make this! My husband is Peruvian and I lived in Peru for 2 years. 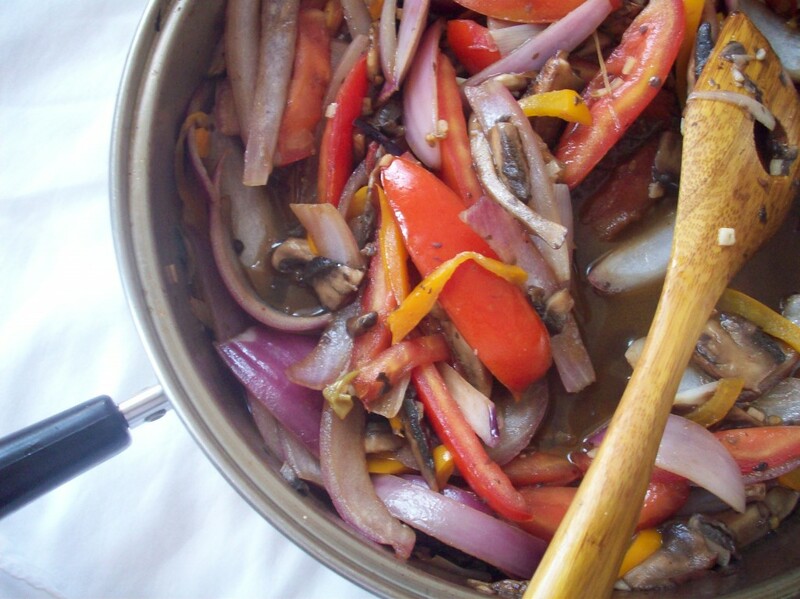 I am vegan, and used to make lomo saltado with TVP, but Portobello mushrooms sound like such a better substitute!! I may even get my meat-loving husband to love it! 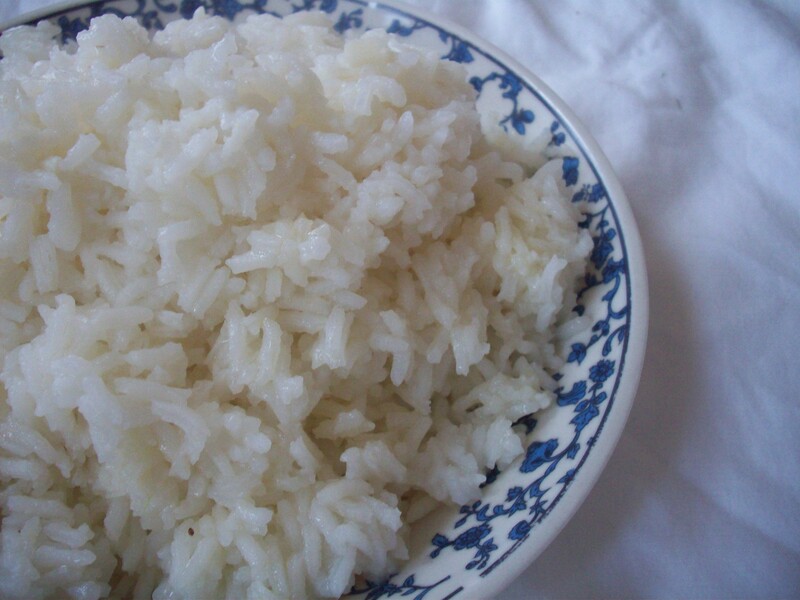 What kind of white rice do you use in most of your dishes? We use a large grain rice very similar to jazmine rice. 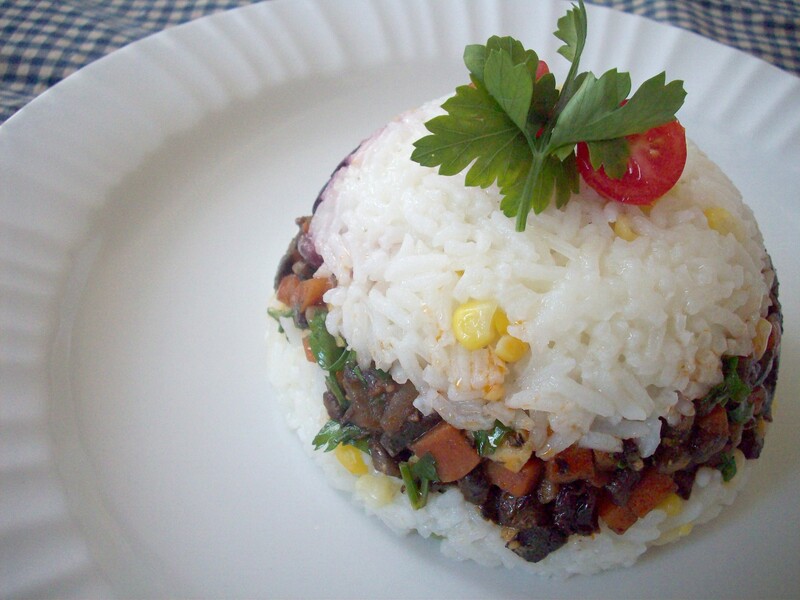 Sometimes I love to use Basmati but that is not usual in Peruvian cooking.